I'm continuing with my series about interesting British authors and today I'd like to introduce you to Jan Ruth. Jan has written three full length novels; Wild Water, Midnight Sky & White Horizon. Also Available: The Long & The Short Of It. Jan has been writing for more than 30 years and despite various dalliances with the more traditional publishing routes, she is now pleased to be an independent author. She lives in North Wales (UK) and her books feature the rugged Welsh landscape and more often than not, her love of dogs and horses. Although she writes serious love stories with strong characterisation, she also captures the humour of modern everyday life and the endless complications of relationships. Jan's style has been described as falling between two genres-not light enough for romance but not literature either-it sits somewhere between the two. The longer I live and the more places I visit in the world, the more connected I feel to my roots, or more specifically my spiritual home, Snowdonia. Seventeen years ago we moved from Cheshire to North Wales. Although Cheshire has its history and pretty rural surroundings aplenty, Wales is far more extreme in both aspects. The castles and the rugged hillsides scattered with stone settlements, druid’s circles and Roman roads bring out the historical muse in me. To think that I am treading the same path as someone who lived in the Iron Age, is both fascinating and humbling. Snowdonia kick-started my stalled obsession with writing in a very positive way. All this whimsical talk of the past makes me sound as if I write historical based fiction. Far from it. Much as I admire many other genres I tend to be very much rooted in current times and my work reflects a lot of my own life experiences. But this is where I find the two ideas merge a little because I am most certainly inspired by this Ice Age landscape and the idea that what has gone before, shapes what we see today, but does it shape what we feel, too? I write contemporary fiction set in North Wales. It falls very loosely into the romantic genre but it isn’t hearts and flowers fiction. You may find the odd spot of arson, adultery and manslaughter laced with black humour and of course, the big landscapes of Snowdonia. All titles are available for all e-readers and are currently being formatted for print. 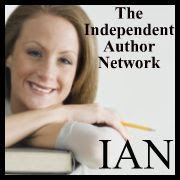 Visit janruth.com for all book links and information. I'd like to thank Jan for being my guest today, and also you, the reader, for taking the time to drop by. Jan writes some lovely books - I've read two and I'm sure others will enjoy her work as much as I have. Nice article. Thank you Jan and Faith. I also love Snowdonia. We have a friend with a cottage there and used to go a couple of times a year before we moved to Spain.